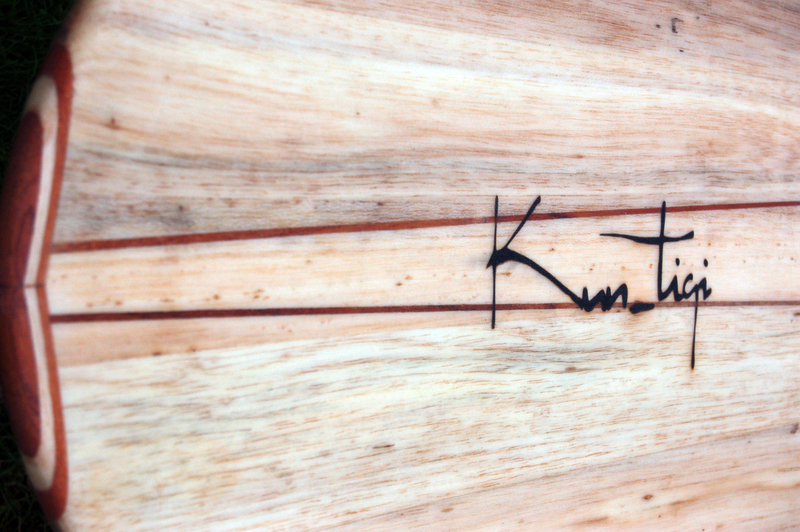 Our wooden “Mini Simmons” is a magic kind of surfboard. 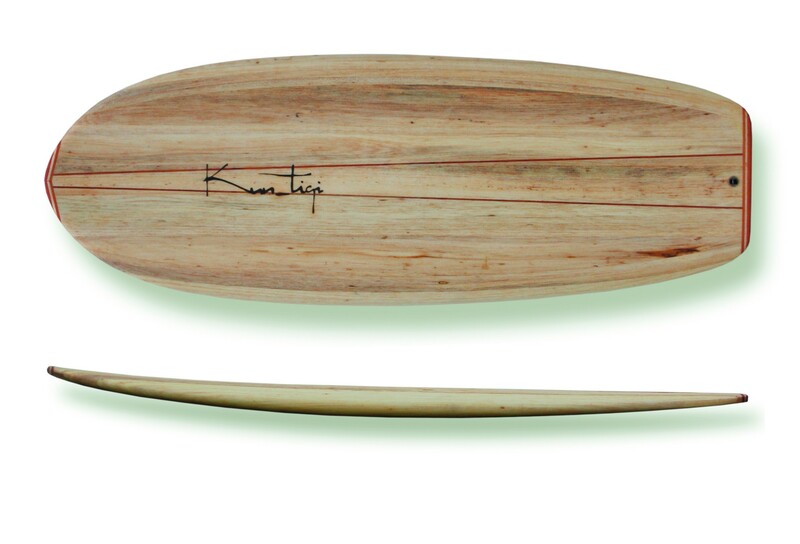 It is so small, so wide and thick; it will give you the funkiest surf experience ever! 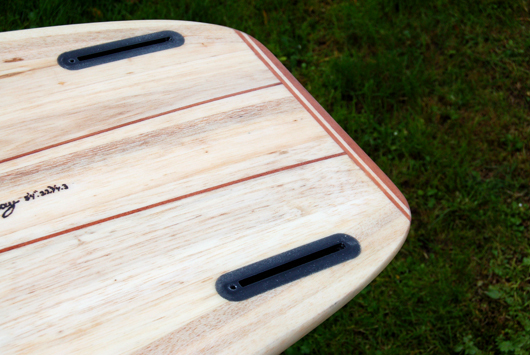 This Bob Simmons orientated shape catches waves as easy as a Malibu, and is as maneuverable as your skateboard. It comes with 2 hardwood stringers and nose and tail reinforcements. Best conditions for this surfboard are 0.3- 1.4 meter wave height. 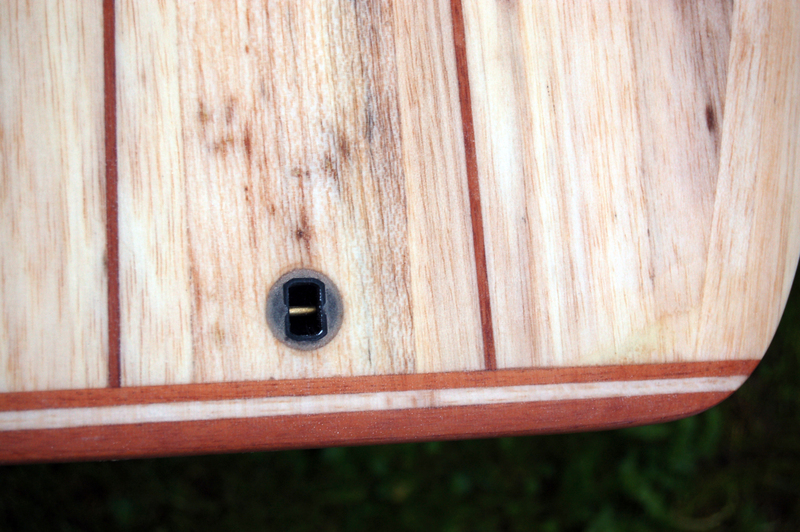 There are two Future fin boxes for retro keels and a bio plastic leash plug.